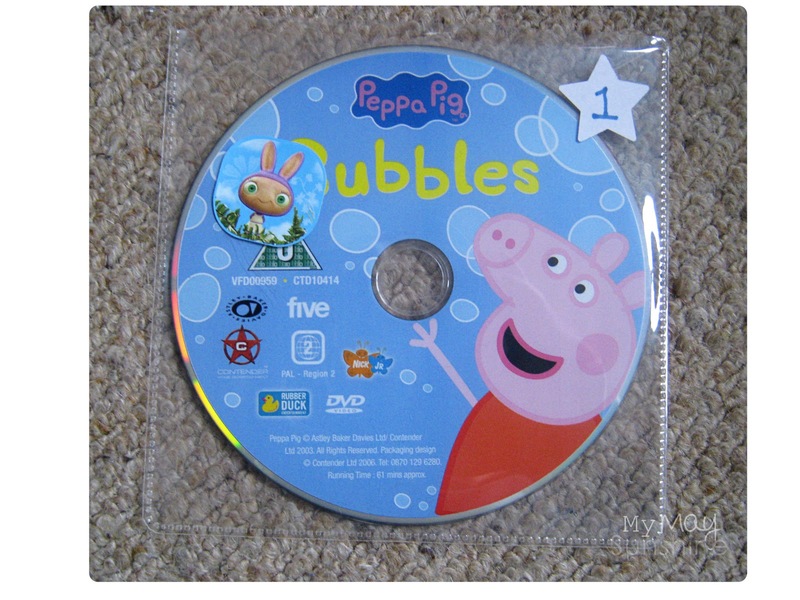 Time and time again my daughter would take the DVD out of the case and leave the DVD sticky and with scratches, which can effect the DVD. 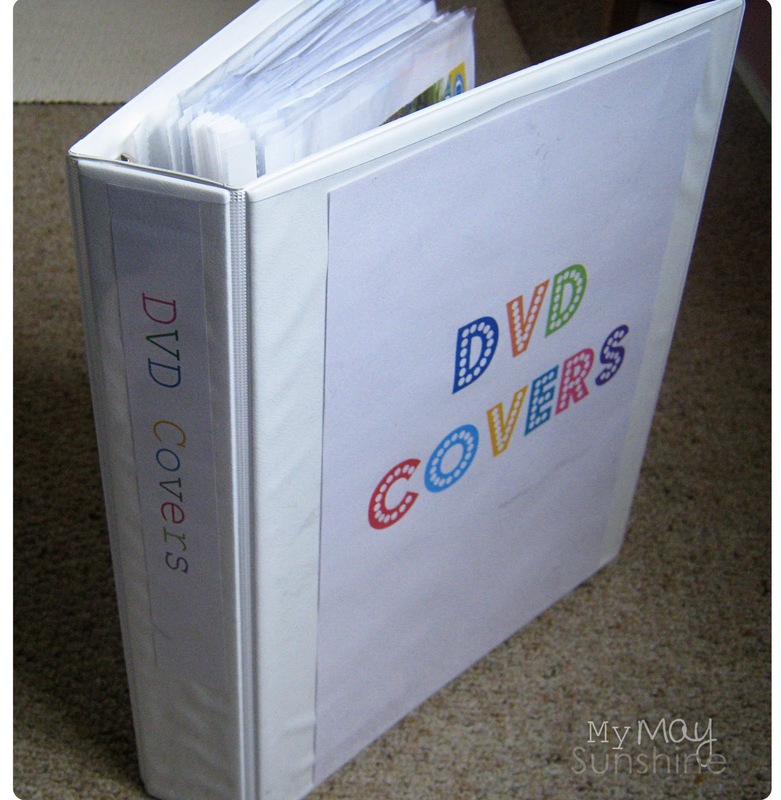 I decided that I needed to store the DVDs differently, ultimately leaving the DVD covers available to view, as my daughter loves to look at them to chose a DVD, but to store the DVDs in a box in a cupboard. 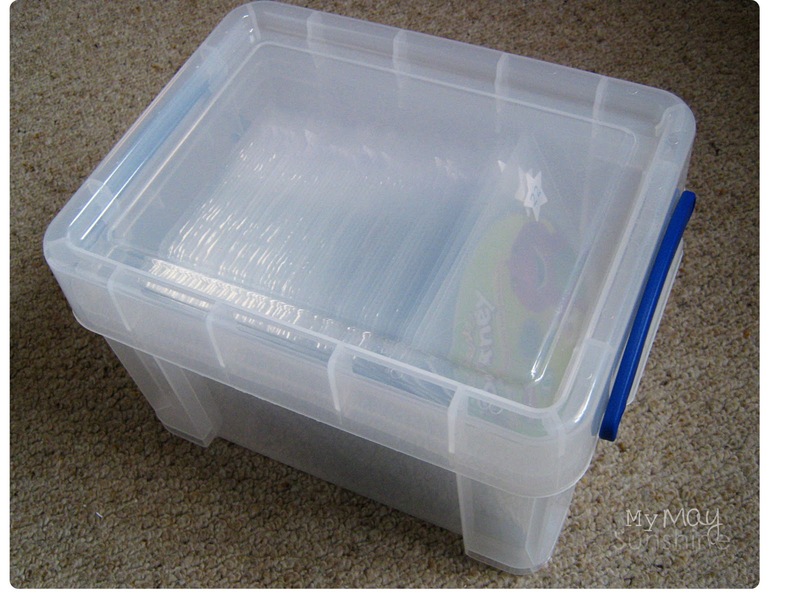 So I started with a binder and a box. In the box I used CD/DVD clear cases and put the DVDs in them starting with the kids. 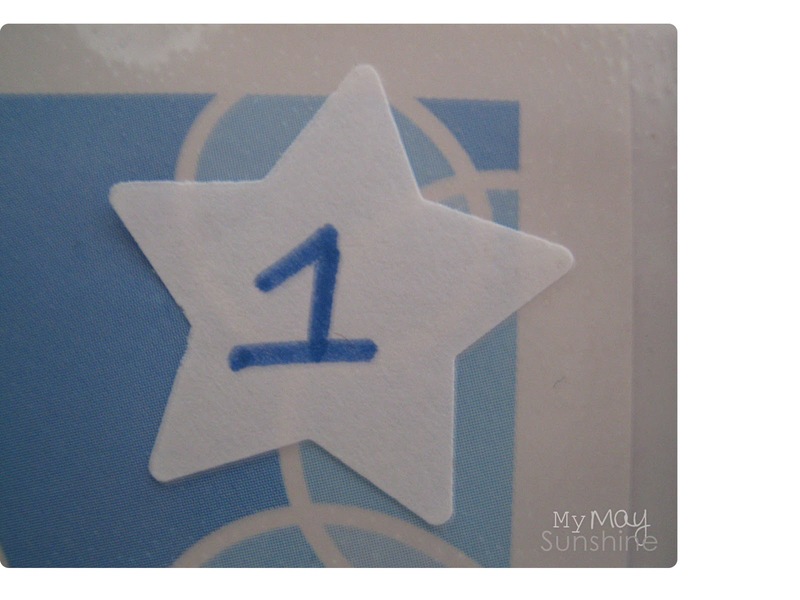 On the front of the DVD cases I put a star which was punched from a sticky label. 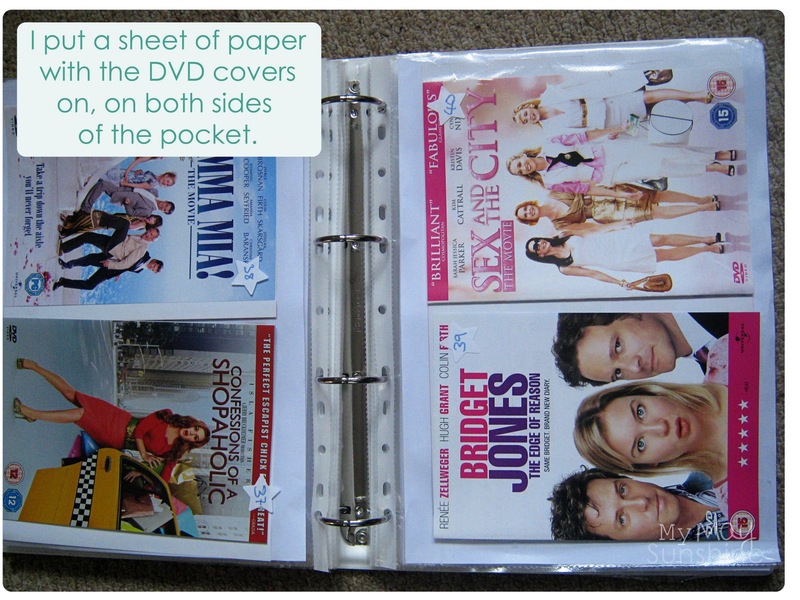 In the binder I took the DVD covers and stuck them to a piece of paper and added them to a plastic wallet/ pocket. To keep the paper from slipping out of the plastic pocket, I taped the top. 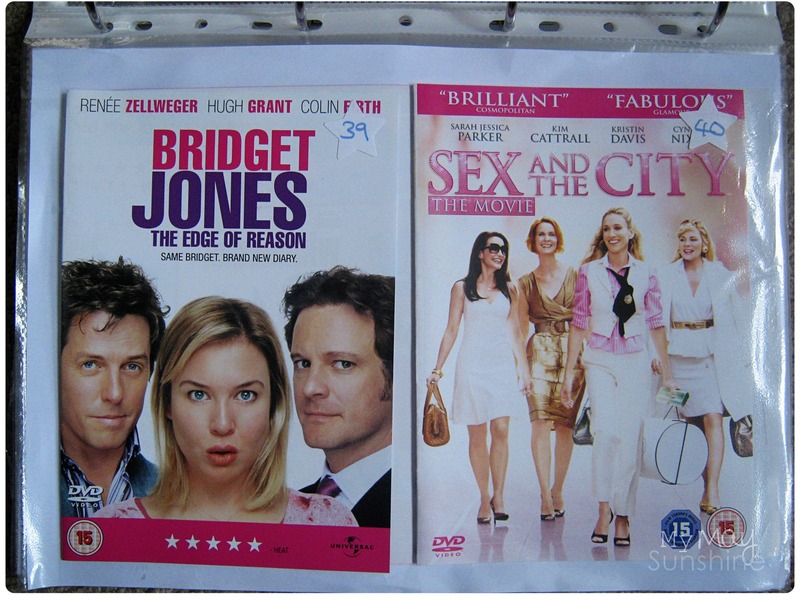 To help find the DVDs easier I stuck a star on the front of the pockets, on each DVD cover. 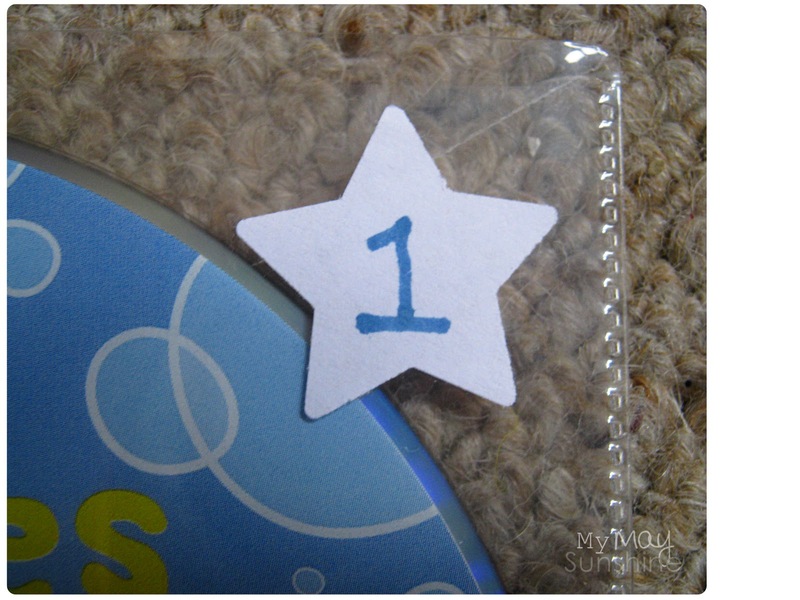 Then just wrote the numbers on the stars on the DVD covers and DVD clear case so they matched. To finish off I just created a label for the front and spine of the binder so we knew what it was and the binder sits next to the t.v. 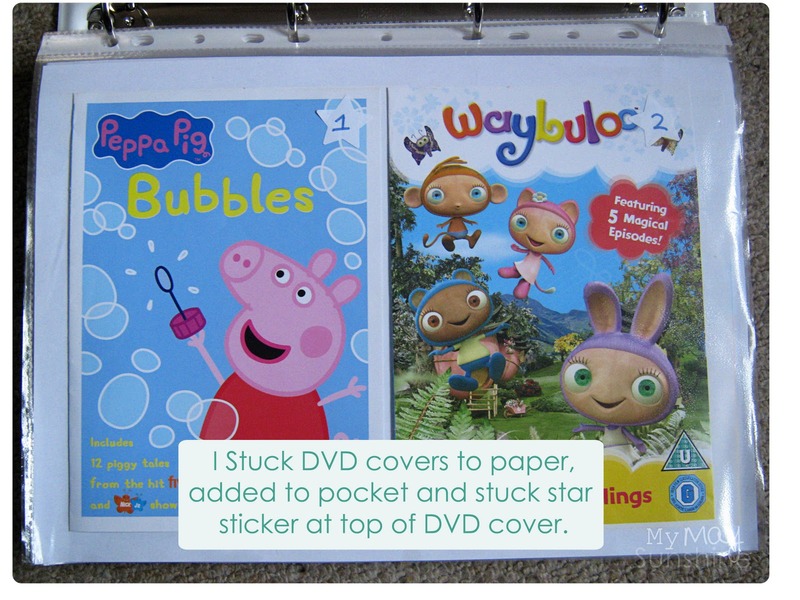 My daughter loves to be able to just flick through the binder to find a DVD and then we can find the DVD in the box by looking for the number. 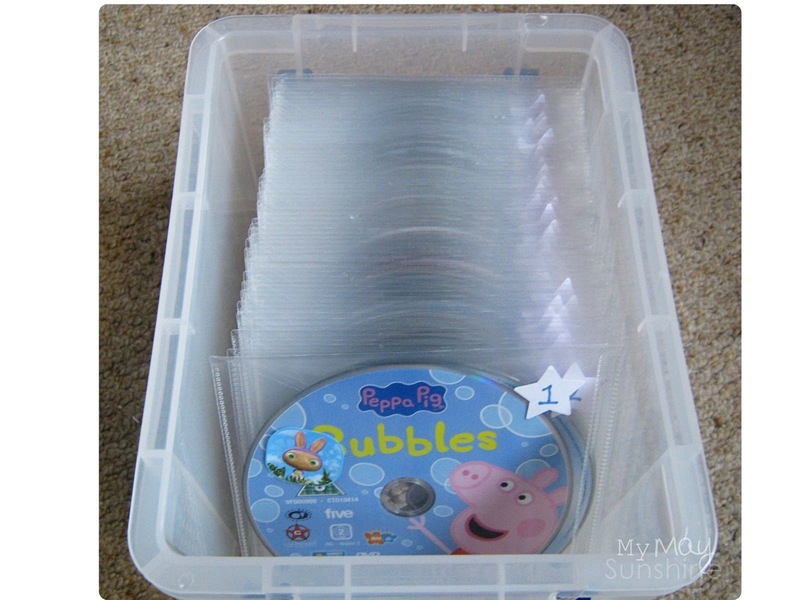 When a DVD is in the machine, the clear case sits at the front of the box so we can easily put the DVD back in and put back in the right place.